Email for mailing costs to other locations. 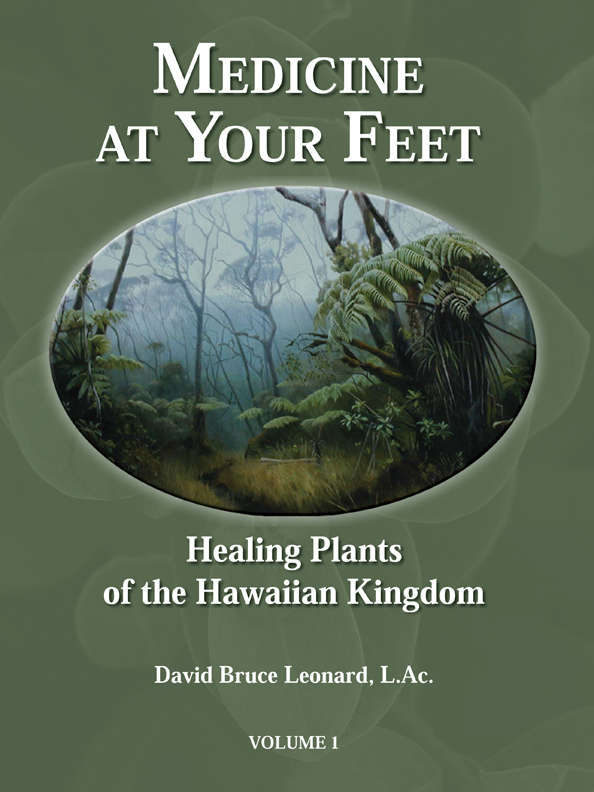 Medicine at Your Feet: Healing Plants of the Hawaiian Kingdom. 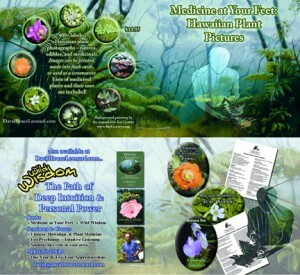 This first volume is one of the most authoritative sources of information on Hawaiian medicinal plants. 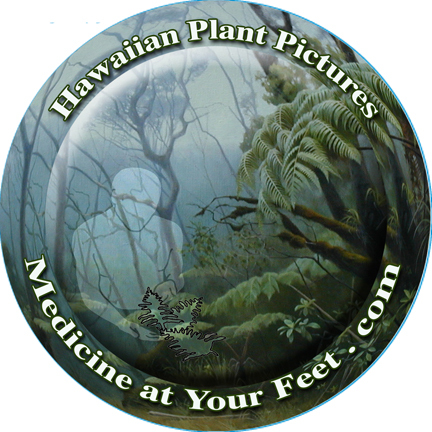 Exhaustively researched, Medicine at Your Feet contains cross-cultural uses for 49 different Hawaiian plant medicines, many of which are easy to find. 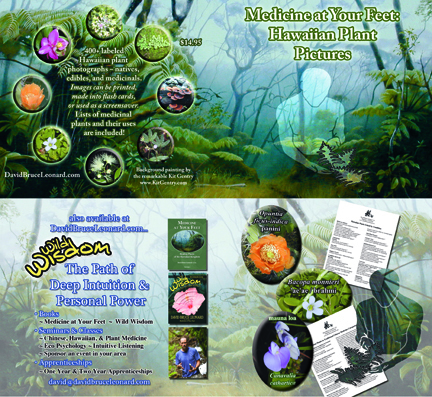 Included is information on medicinal properties, food uses, chemical constituents, herbal combinations, plant gathering protocols, possible drug interactions, scientific research and much more. David is a thorough scholar who really knows his plants. This is an excellent resource. ~ Dennis McKenna Senior Lecturer & Research Assoc. Center for Spirituality & Healing, Univ. of Minnesota. Wild Wisdom: Listening to the Heart of Nature. The Earth is calling you home… can you hear her? * Reconnect to life and love. * Experience your body as a source of wisdom and power. * Find your place while connecting to source. 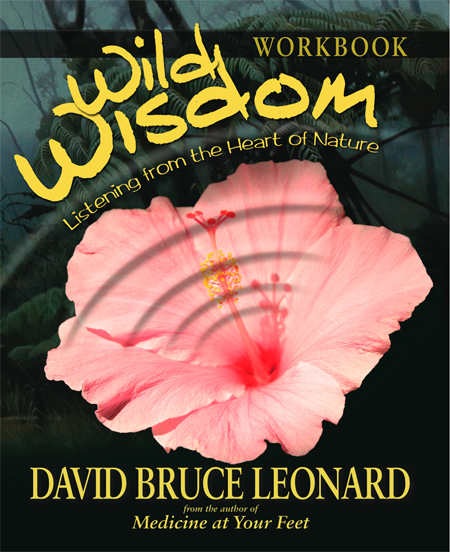 David Bruce Leonard is one of those gifted individuals who can translate messages from plants into the medicines and foods that nourish our bodies, minds and souls. Unfortunately the book Wild Wisdom is currently unavailable. Check back later for updates. More than 400 high resolution Hawaiian plant photographs labeled and in full color. They can be made into flash cards or used as a screen saver. 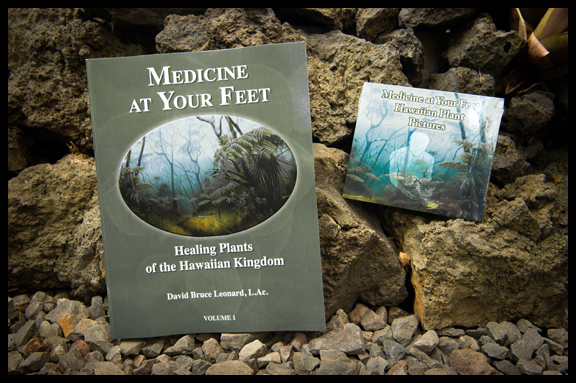 The perfect companion to the book Medicine at Your Feet: Healing Plants of the Hawaiian Kingdom. $14.95 (+ tax & shipping).